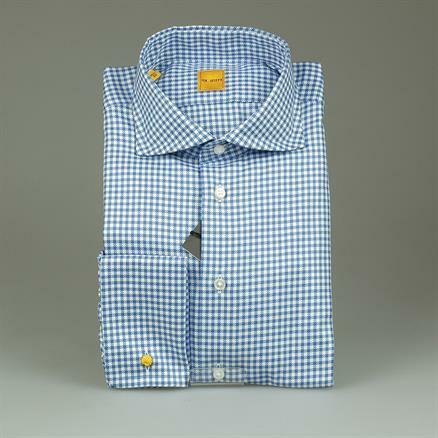 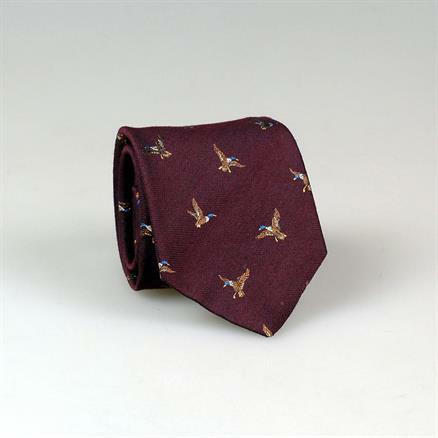 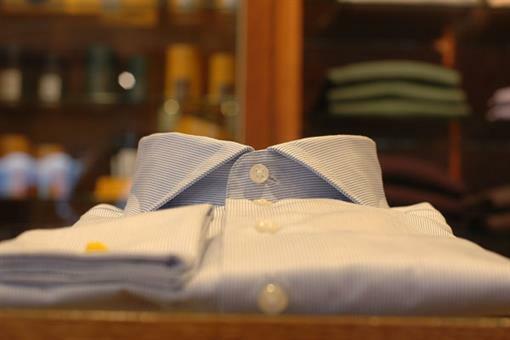 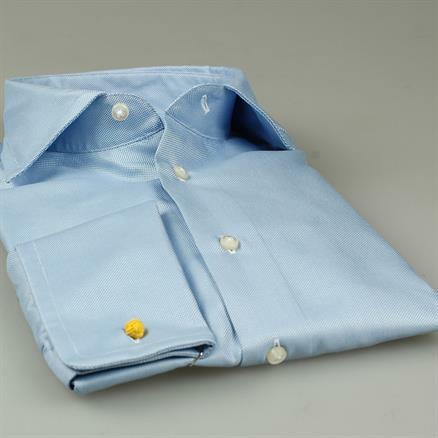 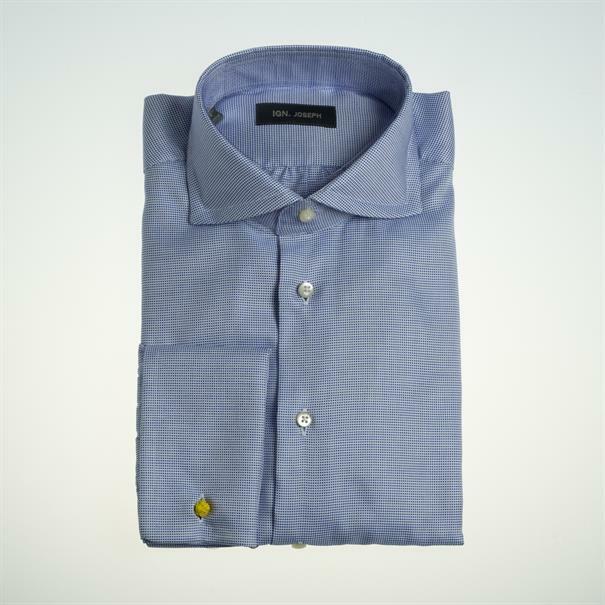 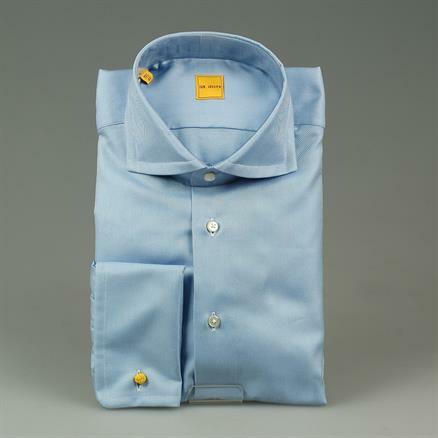 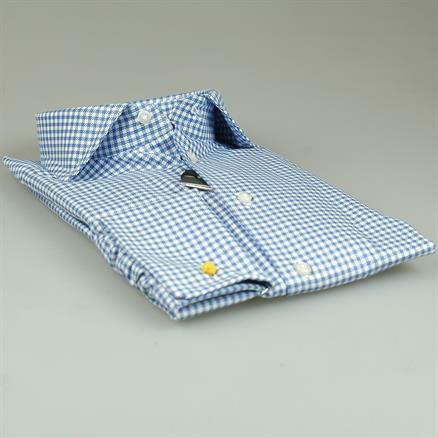 Beautiful formal french cuffed dress shirt with a light blue birdseye pattern. Made by the famous atelier of IGN. Joseph.